As adults, we tend to think of our personalities as fixed. We’re either A or B, introvert or extrovert, talkative or quiet. In fact, we all show different sides of our personalities throughout the day. An intimate confidant may bring out an expressive, opinionated side; an attention-seeking acquaintance may dilute our conversational skills into nods and “mmhmms”. One’s needs and self-expressions change throughout the day too, interactions with others aside. I often find that I’m more open to new experiences in the morning, less prone to forcing things. Alternatively, those who are quiet, head-down types in an office environment may morph into people who are decidedly more boisterous and showy in the evening. Vegetables are no different. I don’t mean that they’re quiet in the morning and then leading a karaoke sing-a-long to “Livin’ on a Prayer” that night, but rather that they can present themselves in varied expressions, different in taste and appearance when paired with basil instead of rosemary, or when steamed into a softer version of themselves instead of roasted into crispiness. Even without discussing the vast varietal differences in flavor, color, and growing patterns of a single type of vegetable, if presented with a “standard” carrot or head of cabbage, you’ll experience different personalities based on how you prepare them. Though like us, vegetables might shine in a certain environment (500 degree oven, roast brussels sprouts ‘til crisp is perfection), with attentive guidance, each vegetable is more versatile than we might have been raised to believe. And how you prepare your selection of vegetables says a lot about your own needs on that day. 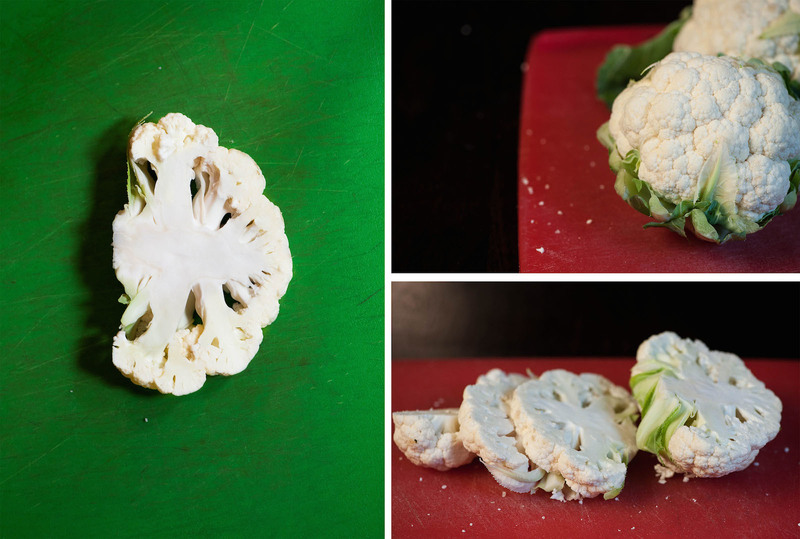 I was curious to integrate these three recently purchased heads of cauliflower into three decidedly different dishes. I’ve made these recipes before, always picking the dish based on my cravings of the day. 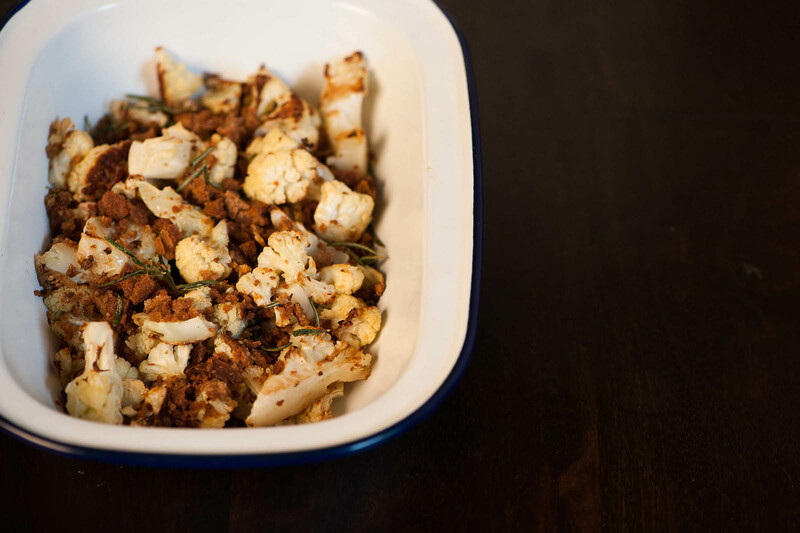 I prefer to roast cauliflower when I’m wishing for a caramelized salty bite, as well as a dish that brings huge flavor rewards with minimal prep. 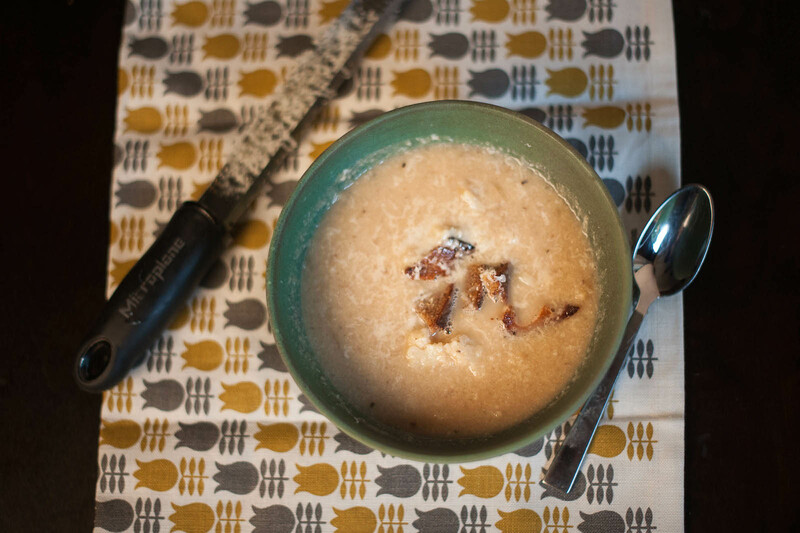 I prepare this cauliflower soup throughout the fall and winter, consistently using it as a vehicle for just-about-stale bread and as a warming and surprisingly filling lunch. 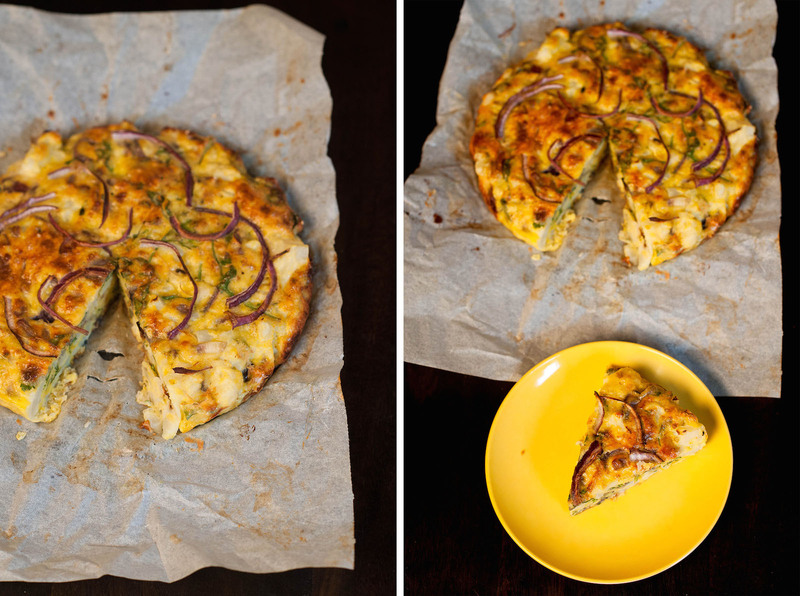 And this cauliflower cake represents a slightly more adventurous side of my time spent in the kitchen. This side of me hunts down random ingredients (like this cake’s nigella seeds), spurred on by Yotam Ottolenghi’s flavor-pushing combinations. 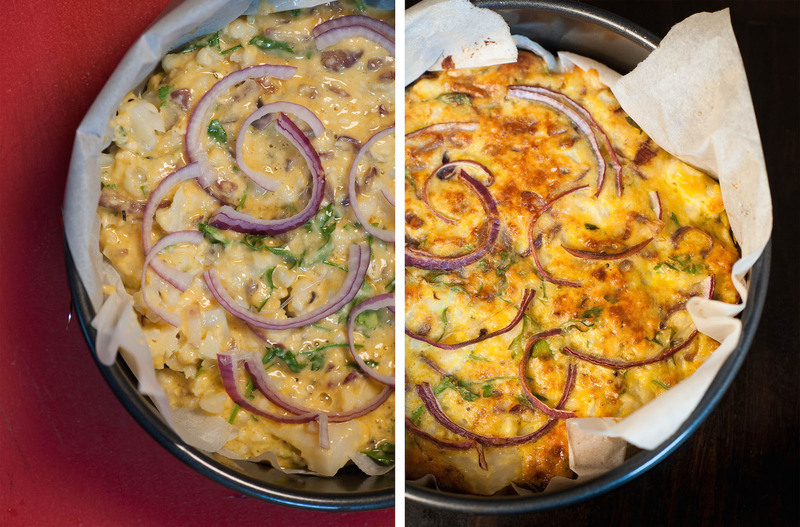 When removed from the oven, the cauliflower cake is familiar enough to be enjoyable, yet different enough to be intriguing. A few weeks ago, I made all of these dishes – dishes I normally crave at very specific times, for very specific reasons – on a single day, wanting to take notes on how the cauliflower responded to these different preparations and if the power of these dishes came from the time of day in which they were usually made, or from cauliflower’s morphability. Along with a sink loaded with dirty dishes, our meal of cauliflower three ways left me with a healthy appreciation for the versatility of this vegetable. Sure, one can steam cauliflower into oblivion, generating off-odors and less than appealing flavors. But, if you don’t cook it into mush, the brassica marries well with rosemary, with breadcrumbs and croutons, with mustard, and with a random collection of spices. In preparing them all at once, it was easy to see the crossover among the preparations. 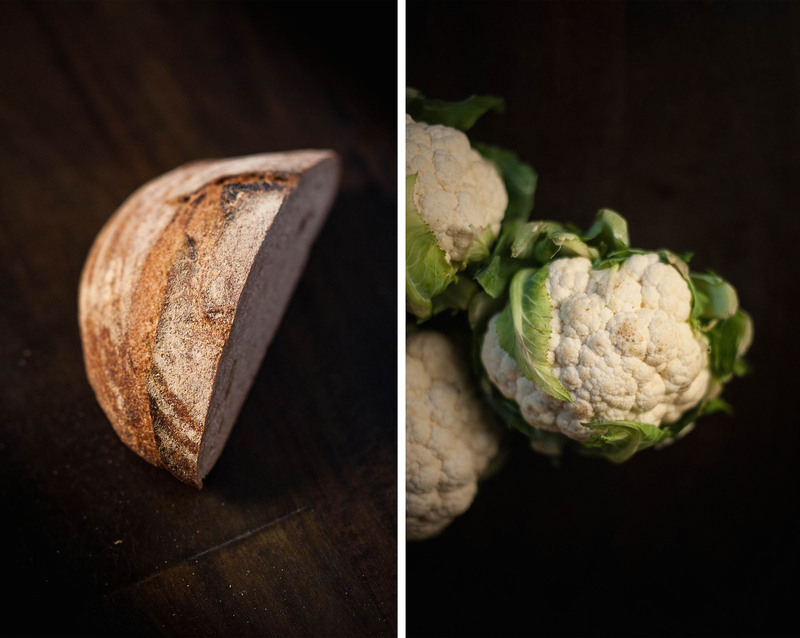 Two relied on a bread product as a kind of crunchy yin to the cauliflower’s softer yang. Two integrated rosemary, and the hearty, take-notice-of-me herb melted its flavors directly into the florets. And while two recipes gently cooked the cauliflower, one roasted the softness right out; the roasted cauliflower bore little resemblance to the other two dishes. 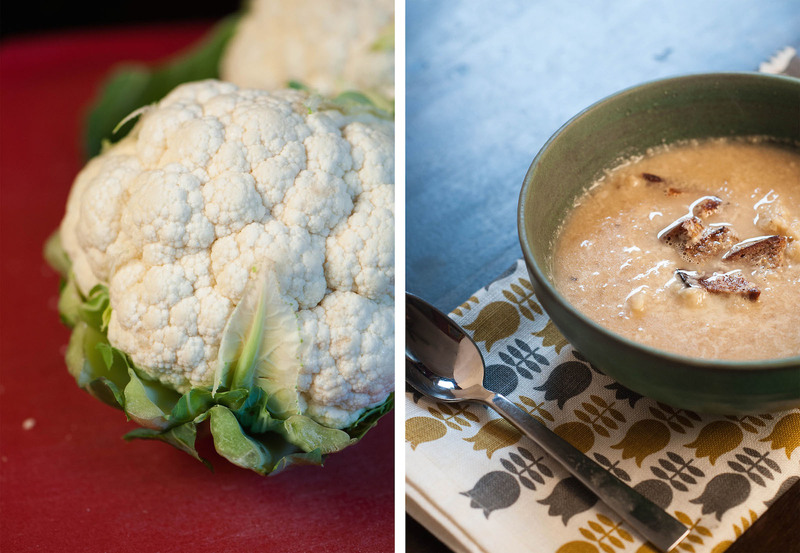 I’ll return to making these dishes when my mood and the time of day dictate, instead of all at once, but I won’t return to unintentionally dismissing cauliflower as a vegetable to eat when I can’t find something else at the market or grocery store, a position I unwittingly used to hold. And I’m curious to perform similar cooking exercises with other vegetables, to understand the innate characteristics and flavor boundaries of each one. 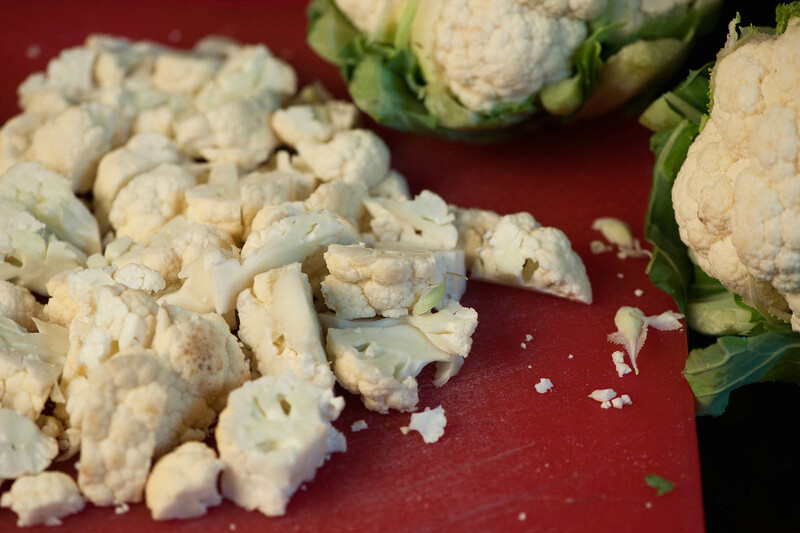 In the bowl, toss the cauliflower with olive oil, salt, and pepper. Scatter it evenly across a baking sheet and roast for 45 minutes, stirring every now and then, until soft, browned, and a little caramelized. Transfer to a bowl or serving plate and set aside. Pour the vegetable oil into a high sided pot and set over high heat (a sauté pan works; I used a skillet, carefully). When the oil is hot (you can use a thermometer or just flick a touch of water in and see if it bubbles), add the rosemary needles and fry for about 45 seconds, until needles are crunchy. Drain the needles on a paper towel. Combine the breadcrumbs and friend rosemary, mixing well. Then, sprinkle the mixture on top of the cauliflower. Enjoy! To make the croutons, put the torn bread in a large bowl. In a small sauce pan or bain-marie, melt the butter over medium high heat. Whisk the olive oil, mustard, and salt into the butter and pour this mixure over the bread. Toss well, then transfer the bread to a baking sheet. 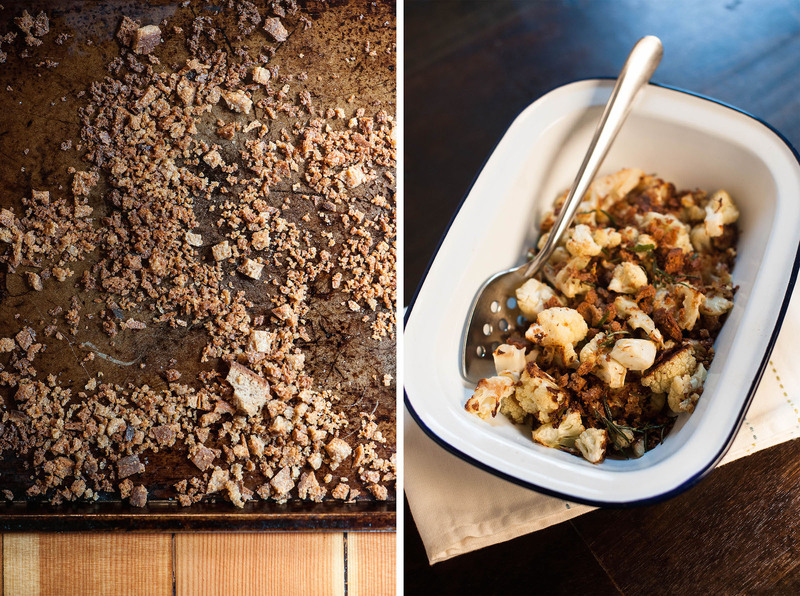 Bake for 10-15 minutes, flipping once or twice, until the croutons are crunchy and golden. While the croutons are toasting, start the soup. Heat the butter in a large saucepan over medium-high heat. Stir in the shallots, onion, and a big pinch of salt. Sauté until the onions soften, a couple minutes. Stir in the potato, cover, and cook for about 4 minutes, just long enough for the pieces to soften up a bit. Then, uncover, stir in the garlic, and the broth/water. Bring to a boil. Taste to make sure the potatoes are tender. Once tender, stir in the cauliflower. Cook, covered, for 3-5 minutes, just until the cauliflower is also tender. Remove the pan from the heat and puree the soup with an immersion blender. Stir in half the cheddar cheese and the mustard. Add more water if you want to thin out the soup. Add more salt, if necessary. Ladle into bowls and top with cheese, croutons, and more olive oil. Enjoy! 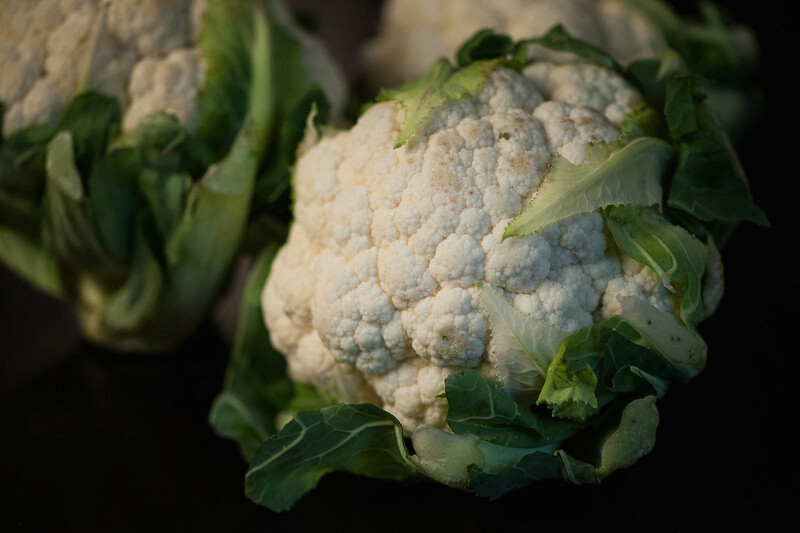 Put the cauliflower florets in a saucepan with 1 teaspoon of salt. 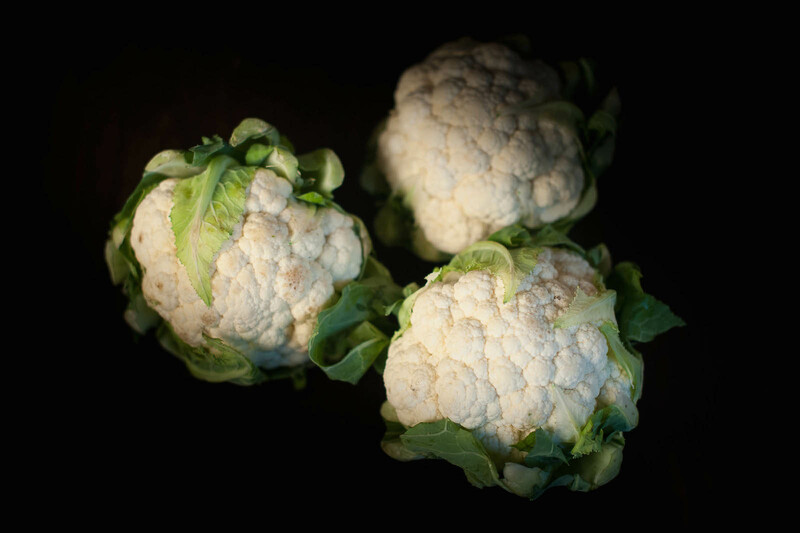 Cover them with water and simmer for 15 minutes, until the cauliflower is very soft. Drain and set aside in a colander to dry. Cut 4 round or semi-circle slices, 1/4 inch thick, off of the end of the red onion, and set aside. Chop the rest of the onion and put in a small pan with the oil and rosemary. Cook the onions for 10 minutes over medium heat, stirring, until soft. Remove from heat and set aside to cool. Transfer the onion to a large bowl, add the eggs and basil, whisk well, and then add the flour, baking powder, turmeric, Parmesan, 1 teaspoon of salt, and lots of pepper. Whisk until smooth and then add the cauliflower. Stir gently, so the florets don’t break up. Line the base and sides of a 9 1/2 inch springform cake pan with parchment paper. Brush this paper with the melted butter and then toss the nigella and sesame seeds in so that they stick to the bottom and sides. Pour the cauliflower mixture into the prepared pan, spreading evenly. Arrange the onion slices on top. Bake for 45 minutes, until golden brown and set (insert a tester into the center-you want it to come out clean). Remove from the oven and let sit for 20 minutes before serving. Enjoy!